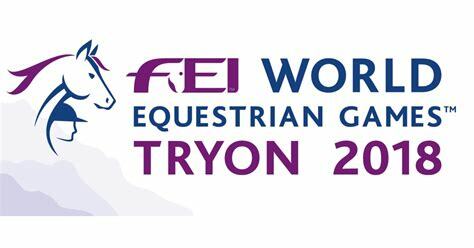 There were 3 ex racehorses competing in Eventing at this year’s World Equestrian Games at Tyron, USA. (1 more than I originally thought!) All 3 horses did a fantastic job, despite the extreme weather conditions caused by Hurricane Florence. The first ex racehorse is a real favourite of mine! 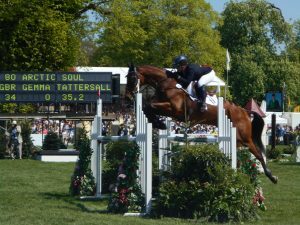 Arctic Soul, ridden by Gemma Tattersall made up part of the Great British team. They finished their dressage test with a respectable score of 32.4, leaving them in a good place, but as the drop score of the team. Cross Country is where Arctic Soul really shines, so it was no surprise that him and Gemma were path finder for the GB team. Despite taking the long route around the waterfall steps, he stormed home, clear within the time. However, with the rest of the British team also managing to stay on their dressage scores, he was still the drop score with team GB sitting on gold medal position going into the show jumping. Unfortunately yesterday wasn’t Arctic Soul’s day. He had 3 fences down towards the end of the course. This left them with a score of 44.4 and just outside the placings (top 25) in 30th place. However, despite being the drop score of team GB, they are still part of the Gold Medal winning team at this years World Equestrian Games! I have followed Donner before, mainly when they have been competing here in the UK. 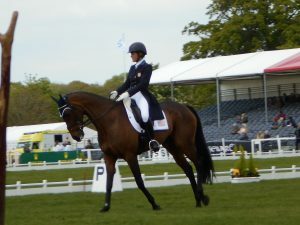 Ridden by Lynn Symansky, he scored a very good 28.3 in the dressage phase. This left them high up in the rankings heading into the cross country phase. Donner is part of the USA team and was the only member of their team to get around the cross country course clear within the time. However, as a team they dropped down the team rankings to sit in 8th place before the show jumping phase. With it being such a challenging show jumping course, Donner also had 3 fences down. This knocked them down to finish just inside the placings in 25th place over all. They were also the second highest score in the 8th placed USA team. Another USA team member and ex racehorse is Tight Lines ridden by William Coleman. This is a new horse to me and I only discovered he was an ex racehorse thanks to RoR’s instagram post listing the ex racehorses competing! He finished the dressage with a respectable 35.6, leaving them as the drop score of the team. His cross country test didn’t go as well as it could have done. They had two stops and wasted a bit of time trying to get going again. Resulting in 51.6 penalties for this phase. However, despite the mistakes, they were still not that far off the time compared to some of the others on the course! Tight Lines was one of the first to jump this course yesterday and there seemed to be a few disagreements between horse and rider, resulting in 3 fences down. They finished on 99.2 penalties in 66th place over all. They were also the drop score in the USA team.